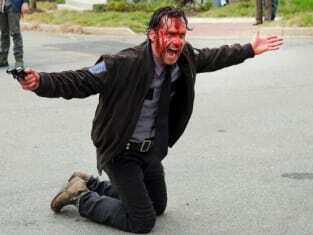 Rick has lost it on The Walking Dead. This is a photo from the penultimate episode of Season 5. The Walking Dead Season 5 Episode 15: "Try"
The Walking Dead Season 5 Report Card: Grade It! We are them, Rick. We are now. Permalink: We are them, Rick. We are now. If you don't fight, you die. Permalink: If you don't fight, you die. 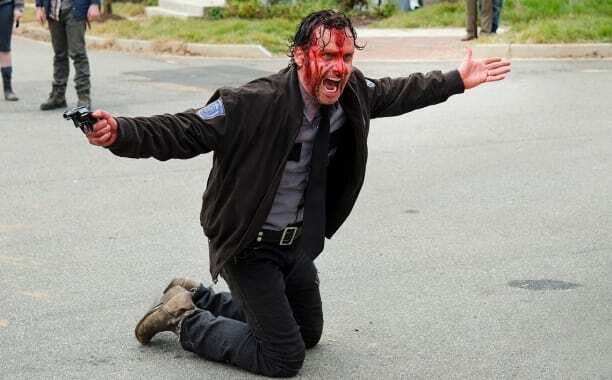 The Walking Dead Round Table: Has Rick Gone Crazy?